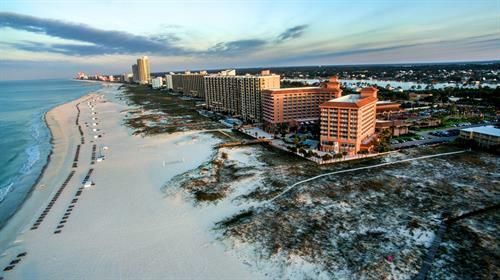 A luxurious full-service resort hotel situated on 27 acres of native tropical landscape offers an unparalleled travel experience. 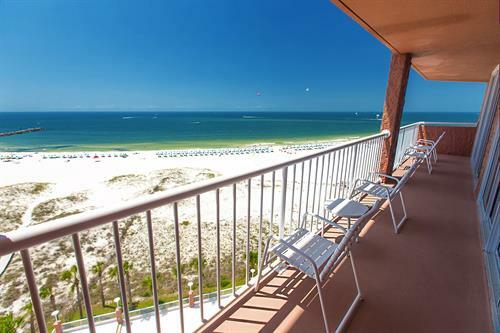 Designed in a classic Mediterranean style, Perdido Beach Resort is nestled on sugar-white sands along the Alabama Gulf Coast on one mile of private beach and touched with unforgettable sunsets over the emerald green waters of the Gulf of Mexico. 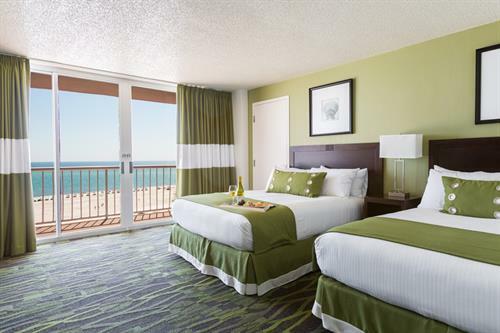 The hotel features 346 spacious guestrooms each with a private furnished balcony, 45,000 feet of flexible indoor / outdoor meeting space, multiple restaurants that include the award winning Voyagers, indoor/outdoor lagoon-style pool, fitness center, tennis courts and more. 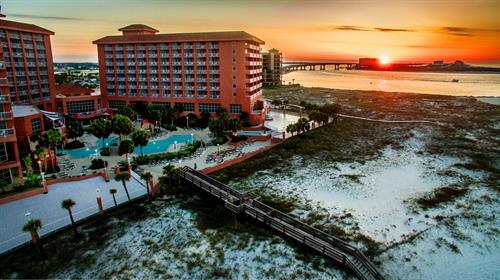 Perdido Beach Resort is within walking distance of boutique shopping, dining and entertainment. 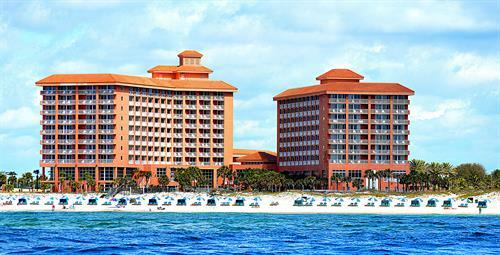 The Perdido Beach Resort is located in Orange Beach, AL, 30 miles west of Pensacola, FL and 70 miles east of Mobile, AL. 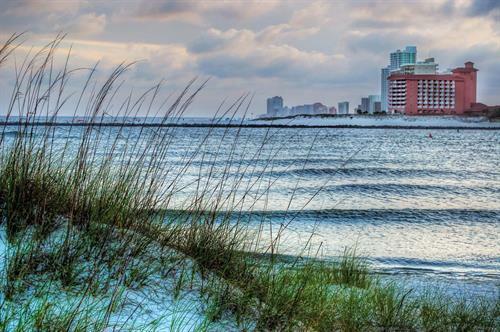 Located near the famous Flora-Bama next to Perdido Pass in Orange Beach, Al minutes from the Florida/Alabama line on the main beach highway.